Oran Canfield is the author of Long Past Stopping (HarperCollins Publishers; 2009), a memoir of his childhood & adolescence, his later drug dependency and experience with rehab, and his path toward getting clean. 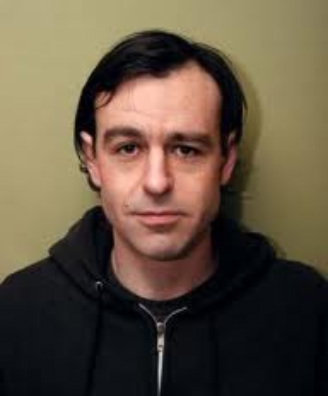 Oran is drummer for the band Child Abuse (aka Child Support in some renegade households), and is based in Brooklyn, NY. Oran answered PGN-C questions via email. Picky Grouchy Non-Cook: I understand that you used to cook but now do not. What's the background on that? When did the shift occur? What happened? Oran Canfield: There was never a conscious shift from cooking to not cooking, but I think it happened when I moved to the Mission district in San Francisco and it actually became cheaper, easier, and healthier to eat out. At the time (early 90's) you could get a burrito big enough for two meals for $2.45. When I couldn't even afford that, I ended up on food stamps and had to cook again until I was late sending in my monthly report to the food stamp people, at which point I had to go back to eating burritos. Not a terrible fate. PGN-C: Is there a phrase you prefer to describe your non-cook status or non-cook type? Oran Canfield: Eating out in New York is not so cheap as it was in San Francisco, so the term I would use is "lazy". PGN-C: Do you miss cooking?Oran Canfield: I do actually. When I was younger I really got into cooking. Now, when I do eat at home, I typically make Trader Joe's pasta, heat up some sauce and leave it at that. Not very adventurous. I'm not sure if that's even considered cooking. PGN-C: Hey! You're a musician: do you know any non-cook songs? Oran Canfield: I think you may have to write that song yourself, as I have never heard one. PGN-C: Do you think a person's cooking or not cooking activity says anything about that person? Is cooking or not cooking an indicator or predictor of anything? Oran Canfield: I'm sure that one's inclination to cook or not does say something about that person, I'm just not exactly sure what. In my case it seems to indicate laziness or my financial situation, or both. Also, as much as I love good food when I am eating it, it's not something I particularly crave. I mostly only think about food when I'm trying to figure out why I'm so light headed, at which point it doesn't much matter what I eat as long as I eat something.